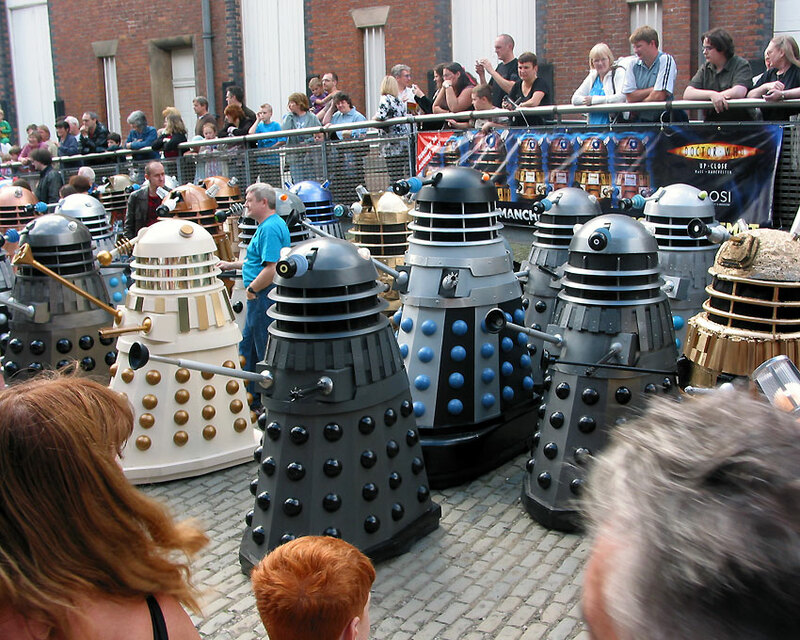 Dalek builders from across the UK gathered together in an attempt to break the record for the largest number of Daleks gathered together in one place. 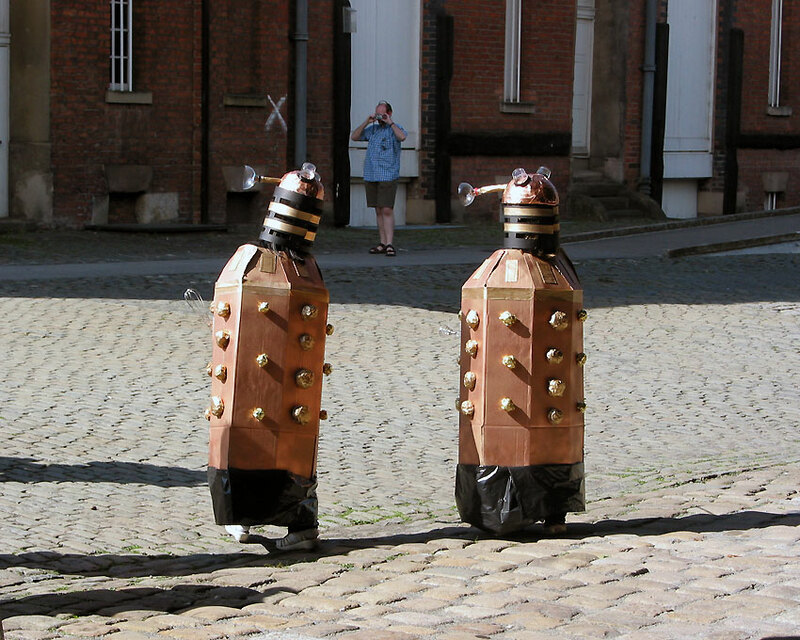 The record was originally set in Holt, Norfolk, the previous year. 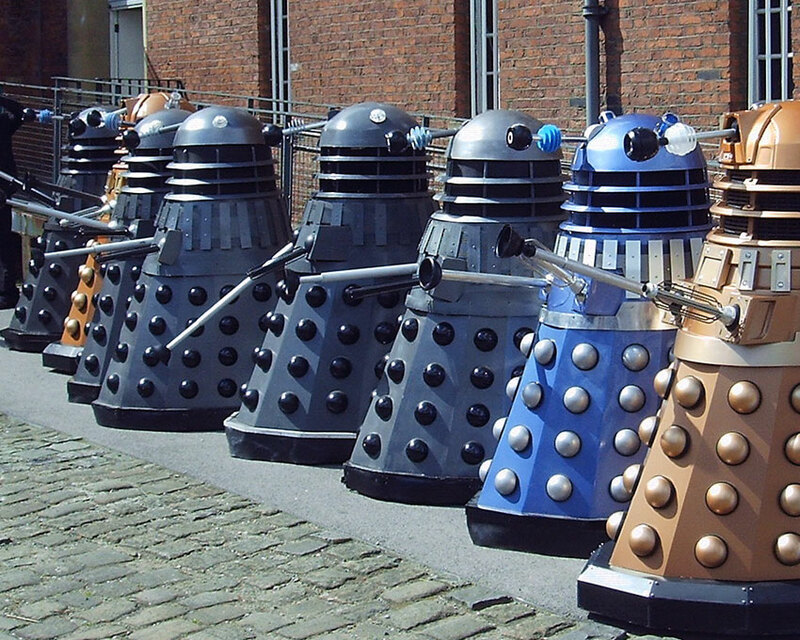 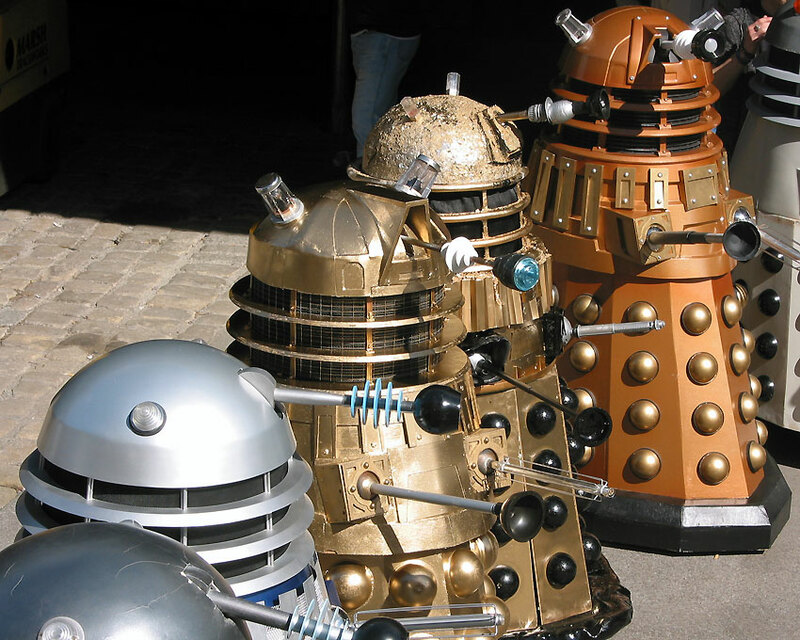 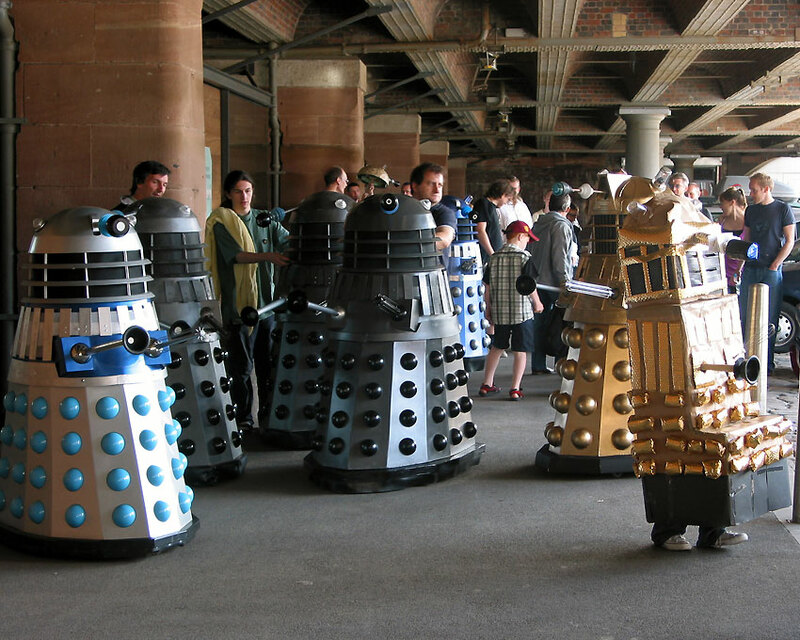 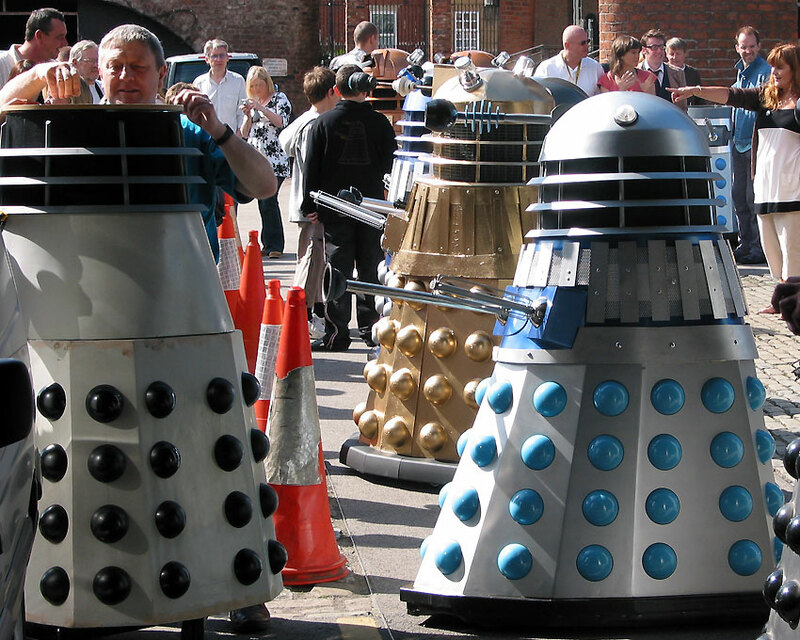 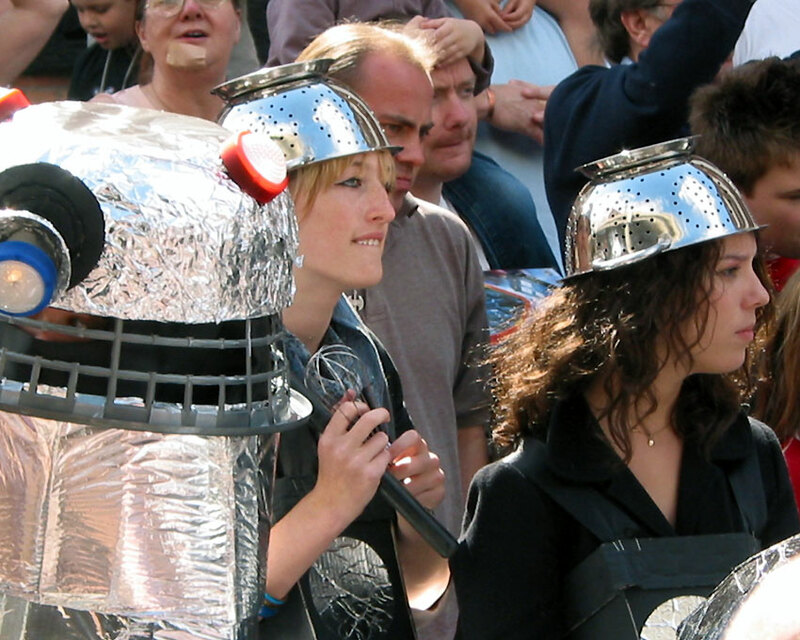 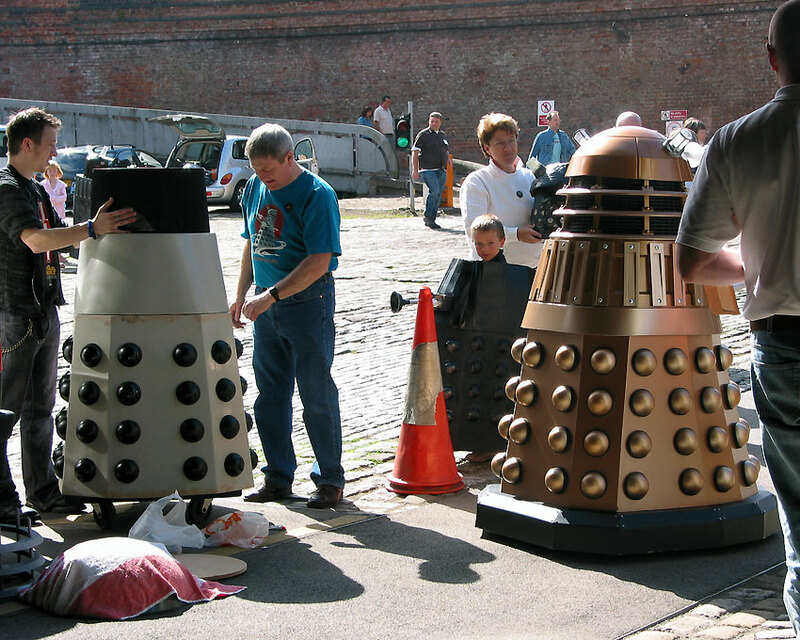 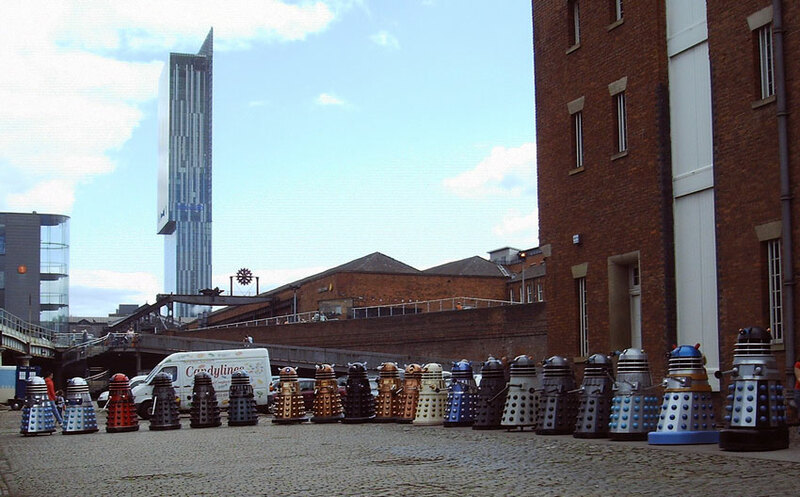 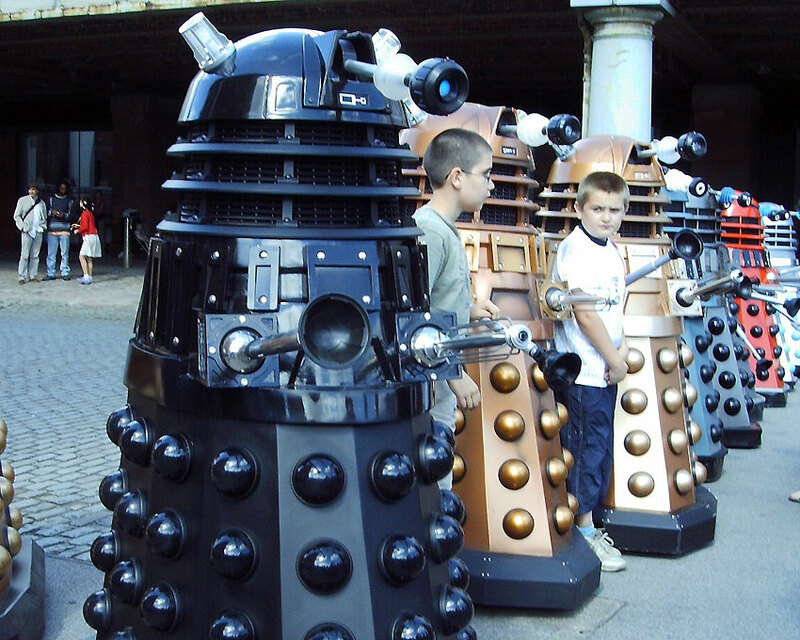 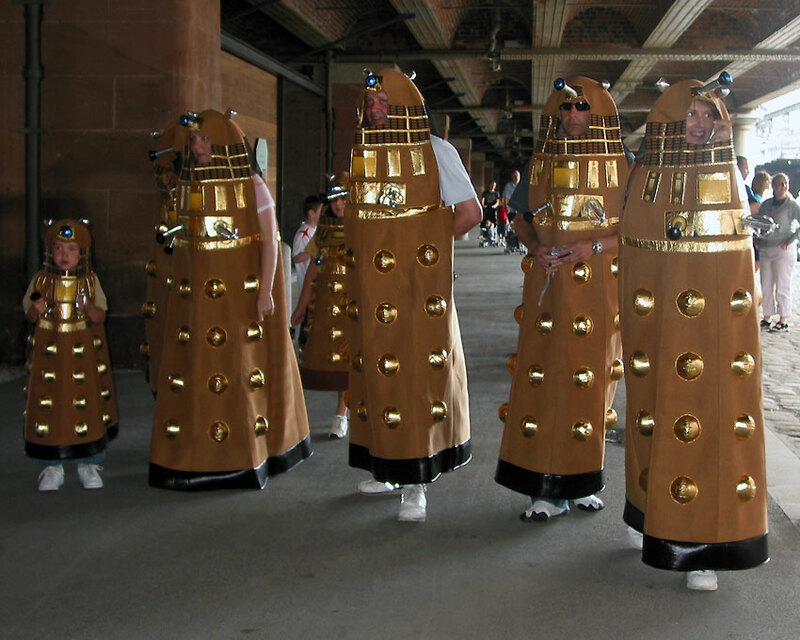 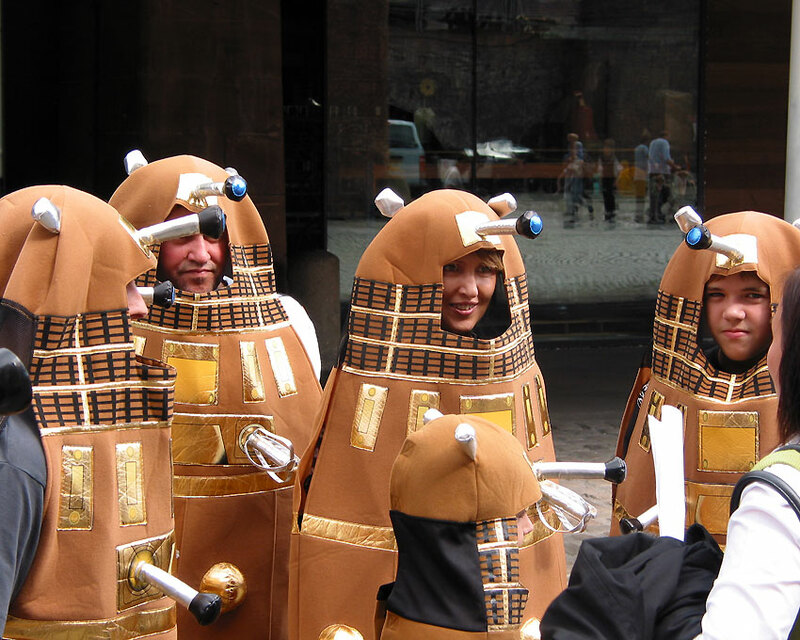 The Guinness Book of Records criteria stated that, to qualify for the record, the gathering had to be comprised of as many Daleks, or people in costumes ‘closely resembling a Dalek’, as possible. 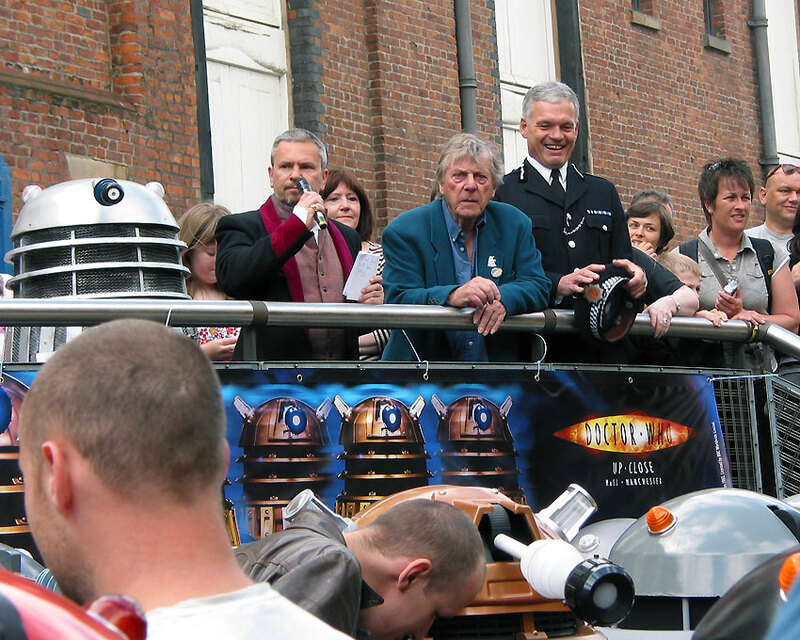 On hand to judge the world-record attempt was the original Dalek designer Raymond Cusick and GMP Police Chief, the late Michael Todd. 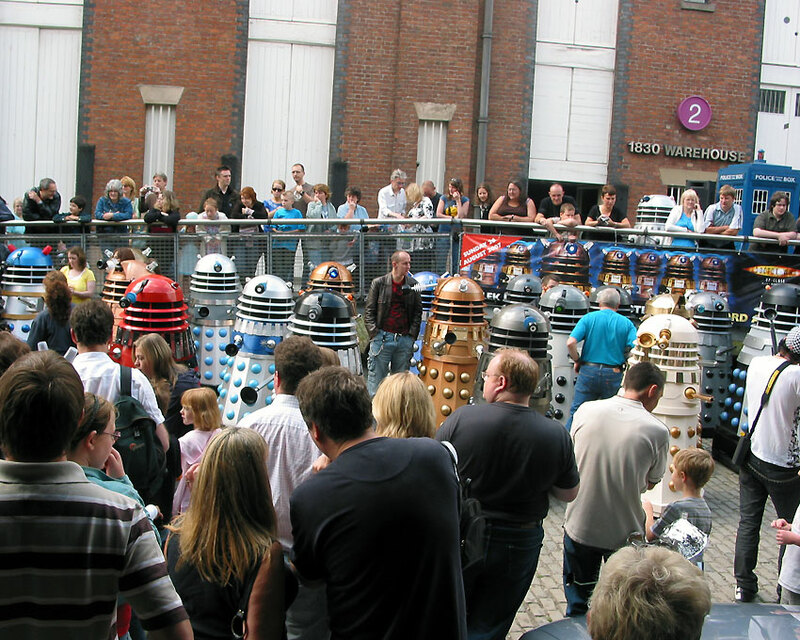 The official count was done at midday and a total of 70 Daleks were deemed realistic enough to be counted towards the Guinness record. 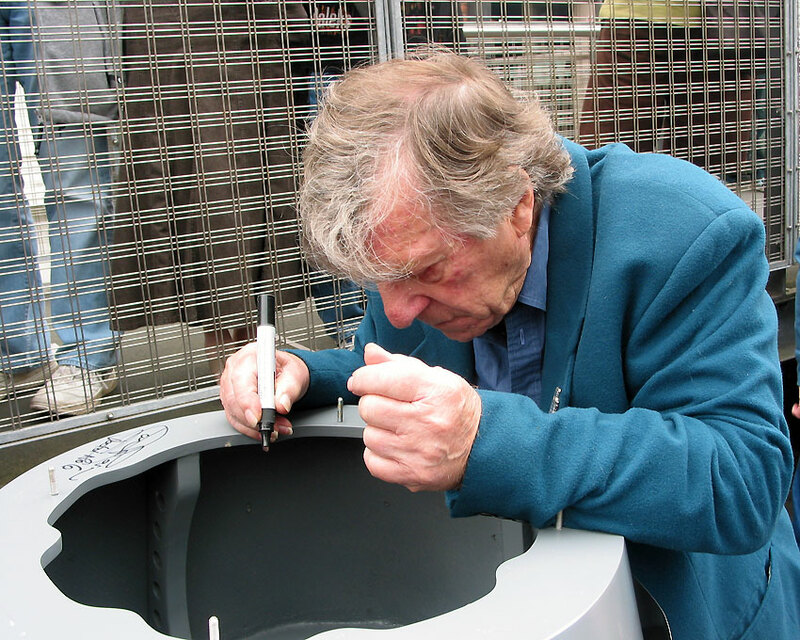 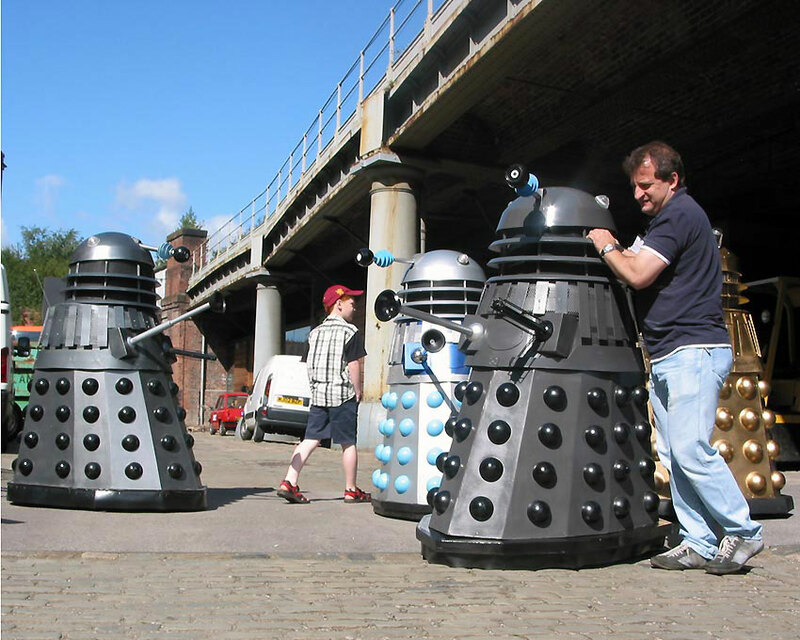 Amongst those were over 20 Daleks contributed by members of the Project Dalek Forum/Dalek Builder's Guild. 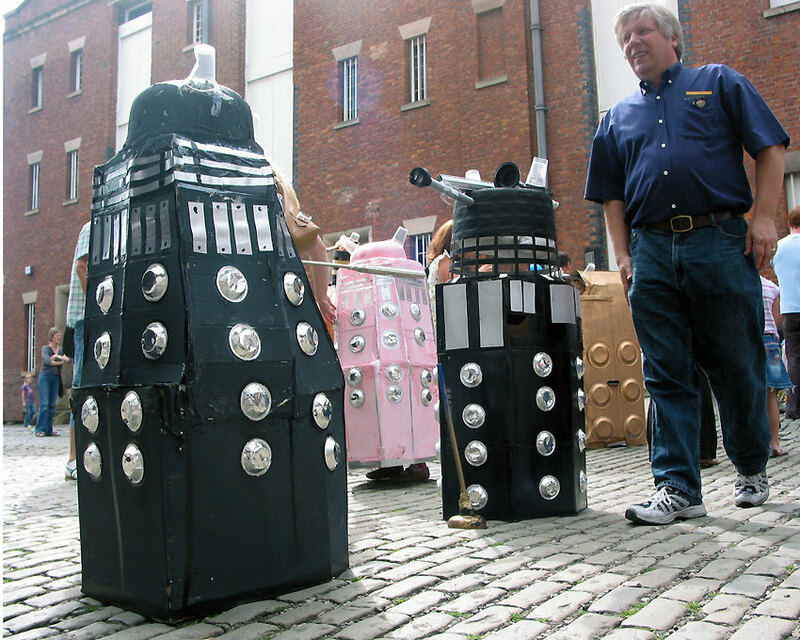 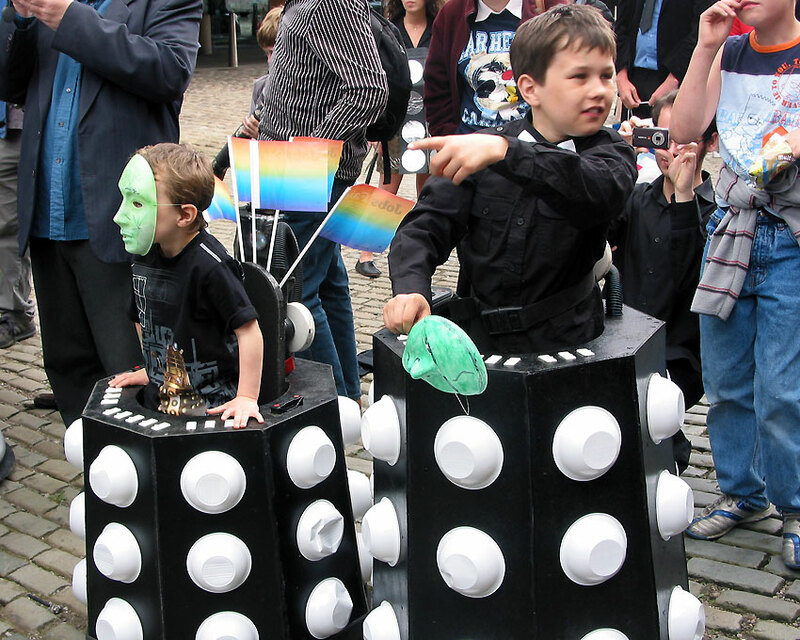 There was also an amazing array of Dalek 'costumes' made by some very talented members of the public, including some great Daleks, built and operated by children. 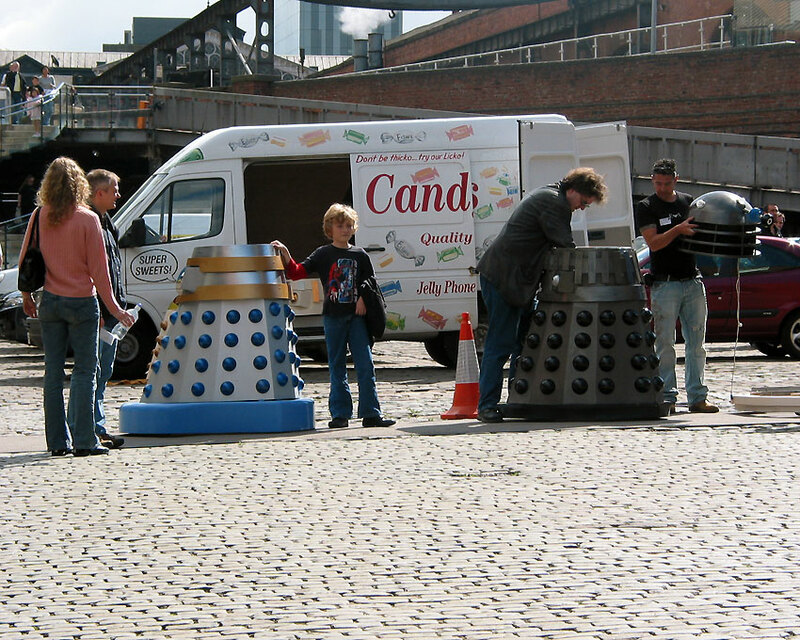 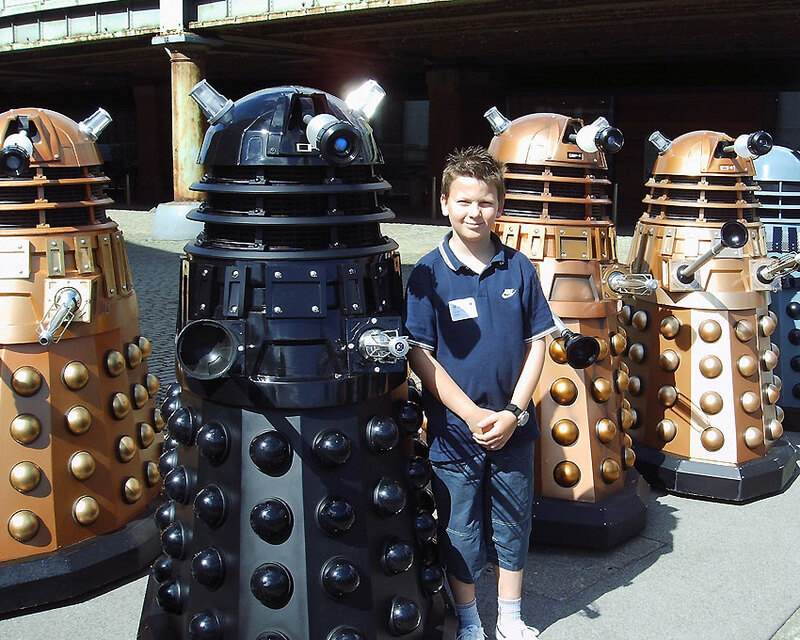 This event ran along side MoSI’s Doctor Who Up-Close exhibition, the largest Doctor Who exhibition ever held.